Inspired by the creepy season, I have been reading Edgar Allan Poe's biography by Jeffrey Meyers. One of the interesting tidbits that came up was that he married his first cousin, Virginia Clemm, when she was only 13 years old. Virginia was an attractive girl with a well rounded figure and the appearance of a more mature woman. 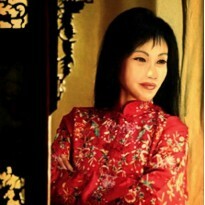 She had a gentle nature and aspired to be a skilled musician and singer. In a tearful letter to his Aunt Maria, Virginia's mother, Poe swore his fervent devotion to Virginia, so tormented was he that she might leave him. eventually grew to love him as a husband and lover. Sadly, in 1847, Virginia died at the very young age of 25 years from Tuberculosis, the same illness that robbed Poe of his mother, Eliza Poe. Poe was devastated. The impact of the deaths of his loved ones by the same disease are clearly reflected in his poems. While The Raven might illuminate Poe's constant fear of the "messenger of death", Ulalume and Annabel Lee were undoubtedly inspired by Virginia's life. 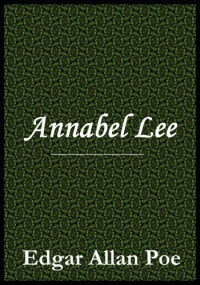 In May 1849, he completed the latter, and although many of Poe's other lady loves had claimed it was, in part, about them, Annabel Leereferenced in the lines, " she was a child," and " my life and my bride" undeniably would have been Virginia. The seemingly fairytale quality would suggest that it was a loving tribute to the gentle, fragile Virginia, however inadequate a consolation to his broken heart.